‘Mirror Game’ is a psychological thriller that deals with serious conditions like Schizophrenia and Multiple Personality Disorder. The makers however, do not really explain what’s going through the mind of a person suffering from them. Mental illness is used to make the film more ‘exciting’, which is insensitive and doesn’t work either. You don’t see Jay struggling with the phantoms in his brain. He continues to be a highly functioning professor who can plot heinous crimes like a mastermind, even when he is off medication. The best part of Vijit Sharma’s film is that it is so layered that it surprises you at regular intervals. This 100-minute film doesn’t have any interval, adding brownie points to the film. A song-less thriller is what Bollwood needs right now and ‘Mirror Game’ has broken free from the traditional way of Indian filmmaking. The ‘Hollywoodish’ treatment of the film may prove to be the biggest obstacle in wooing Indian viewers. 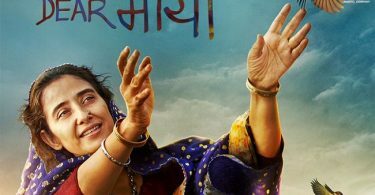 For it is too soon for a Bollywood flick to introduce the untouched genre of no nonsense filmmaking that is beyond the sensibilities of a regular Indian movie goer, but, again, there has to be a beginning. On the performance front; Parvin Dabas as the schizophrenic Jai Verma, Dhruv Bali as Ronnie, Shanti Akkineni as Tanya Verma, Sneha Ramchander as Detective Shenoy and Pooja Batra as Jai Verma’s friend and police psychologist Shonali, deliver nothing outstanding as actors and are thus perfunctory. Mounted with moderate production values, the production designs, which include the on-location shoots are accurate. Cinematographer Joshua Echevarria’s camera work is steady and his frames are realistic. The background score by Kasturi Nath Singh and Vishal Singh elevate the viewing experience. The fine layering of the sound and visuals by Shakti Hasija and Abhishek Seth is also worth a mention. Overall, Mirror Game: Ab Khel Shuru is a well-packaged film that will take you by surprise. There is surprising restraint in background music and we thank the writer director for that. There is no presence of head-holding, hair-tearing hero going mad, no hysterical laughter that is usually seen in every Bollywood psych thriller. And for that the audience will be grateful. The title is odd, and the only explanation seems to be is that the writer-director wanted it to be ‘different’. The twist in the story is good, very good perhaps. If only the pacing of the story had been smarter. V. Sharma’s narration doesn’t help either and the climax is unintentionally laughable. The performance doesn’t excite either. 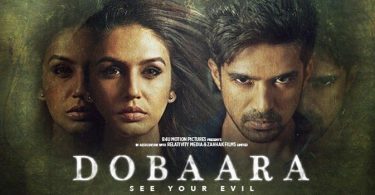 Parvin Dabas is unable to get the shades in the script to portray the unpredictability of his character and its moves in a set routine and standard tone. Dhruv Bali is strictly bearable. Sneha Ramachander is just okay. Shanti Akkineni is better from the lot and Pooja Batra is horribly wasted. It appears that actors’ sequences are shot as per the convenience and availability of actors in America. MIRROR GAME – AB KHEL SHURU has nothing to offer, it’s ludicrously plotted, flawed and floundering right from the word go. The first half takes a lot of time to come on the right track. The treatment is super slow and lethargic at times. The thin line script has been highly stretched and unwanted scenes have been added at regular interval. Sadly, all the positive points get diluted due to the snail pace treatment of the film. The minimal happenings and forced confusion ruins the impact of the film.